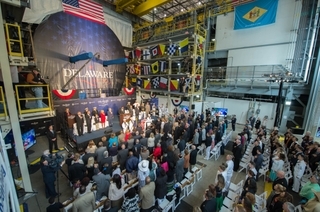 In her remarks, Biden addressed the crew of Delaware not just as the ship sponsor, but as a military mother and grandmother. Other ceremony participants included Virginia Gov. Terry McAuliffe; Sen. Thomas Carper, D-Del. ; Rep. Randy Forbes, R-Va.; Rep. Bobby Scott, D-Va.; Vice Adm. Joseph Tofalo, commander of Submarine Forces, Submarine Forces Atlantic and Allied Submarine Command; Matt Mulherin, president, Newport News Shipbuilding; and Jeffrey S. Geiger, president, General Dynamics Electric Boat. 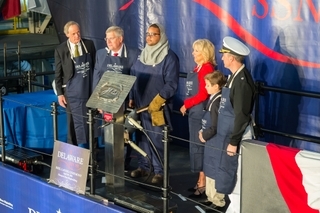 In his remarks, McAuliffe addressed the importance of the shipbuilding industry in Virginia. More than 4,000 shipbuilders support the construction of Delaware. 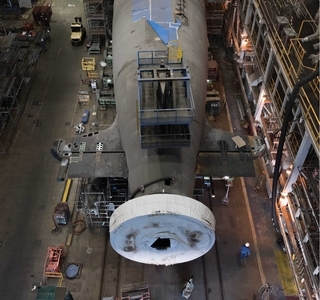 The submarine will be the newest Navy vessel named for the country’s first state, following the dreadnought battleship USS Delaware (BB 28) that was delivered by Newport News in 1910. 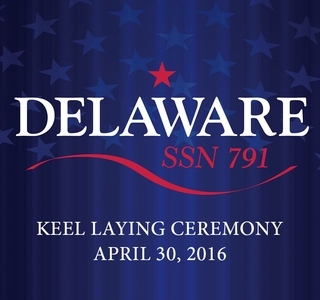 A video of the ceremony, along with additional information on Delaware, Jill Biden and the Virginia-class submarine program, can be found at http://huntingtoningalls.com/ssn791/index.